Tantra facilitators from all around the world! Do you want to learn how to experience deep love and sexuality? Do you want to meet fascinating new people? Do you want to learn how to feel a real closeness with a person you love? If so, we would like to invite you to meet Tantra- a path connecting sexuality, personal development and spirituality! We invite you to spend 9 days in the atmosphere of friendship, sensuality, pleasure, love and fun! 9-day Festival Pass costs only 250 Euro (1000 PLN)!!! We invite you to spend 7 incredible Festival days during which You can take part in workshops, lectures, meetings, ceremonies, rituals, concerts, shows and parties. The Festival begins on Friday 1thJuly at 6 p.m. The Tantra workshops offered At our Centre „Here and Now” can be considered a modern approach to Tantra. The knowledge which is based on the old methods and traditions of Tantra, help us to develop philosophical system and techniques that we can practice in our day-to-day life. In this practice there is no religion, no rituals, no idols. It is neither Hinduism nor Buddhism, it is all about being in the Here and Now. A single Tantric workshop, may be the experience that makes your sexual life richer and more satisfactory; but it could also be the beginning of your long-term development and a new path for you in life. In Tantra there are many levels you can discover and overcome to improve your sexual life and build better relationships. It can lead you to transformations in all aspects of your life. For example: to become more aware, and improve your self-awareness. Tantra can become your route to higher consciousness, to a total awakening. 9 days – several dozen of workshops – the best teachers from all around the world (and lectures, ceremonies, concerts and live music, parties and morning activities). It’s a space where You can get all kinds of various messages, consult bodyworkers and healers. Individual sessions are a great way to enhance your experience during the Festival. These sessions may support you for healing, energizing or simply deep relaxation. Fun, joy, relax, dance and beauty of nature. Food price is 65 zł ( 16,5 Euro) The price includes 3 vegetarian meals a day. 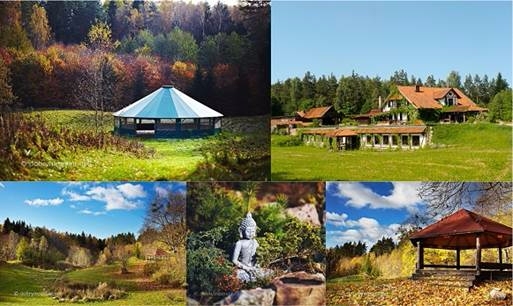 We invite everybody – alone or with a partner, beginners and advanced practitioners of Tantra, those who are simply curious about the themes and new approach to life. You have to be at least 18 years old. Children are not allowed to take part in the festival. You are responsible for your behaviour towards other participants of the festival. We expect you to be respectful, honest, open and truthful. At the start of the Festival you will be asked to confirm your acceptance of the Regulations of the Festival of Tantra.